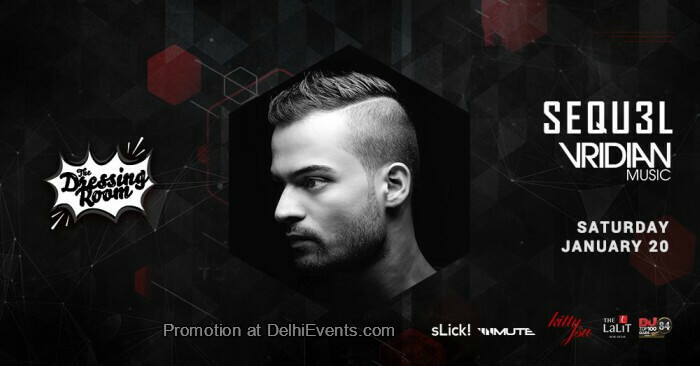 Nakul Ambilkar (born 1 January 1986), better known by his stage name SEQU3L, is a Indian DJ, record producer and remixer. SEQU3L has worked on production and remix projects with many notable electronic music artists such as Funkagenda, Paul Thomas, Andrea Bertolini, Steve Haines, Max Freegrant. VridianMusic is the shared moniker of Vir RC & Siddhant Jain. With a hybrid approach, this initiative intends to offer a musical experience that blends the known, to fuel the unknown. Infatuated and influenced by dance culture from when they were just teens, this duo enjoys their time on either side of the DJ console. Now in their twenties, VridianMusic is also striving in their time in the studio with releases on imprints such as Kiko Records, Substation Recordings and RF Music. Touching into various styles such as Electronica, Deep House, Techno and Tech House, music that keeps a groove consistent in a plethora of atmospheres and a variation of rhythms. With a quest for all things eclectic, VridianMusic intends to be a well rounded establishment for emotive electronic music (not limited to dance music). The project has become a part of Vancouver's renowned Gorgomish after hours family and 2017 has seen the duo release original music internationally, garnering support from the likes of Joseph Capriati, Paco Osuna, Danny Tenaglia DJ, Sam Divine, Rennie Foster, Chris Fortier, FILM, Owen Ni, Ibiza Global Radio, Decoded Magazine, DJ Mag IT and many more. With both members now settled back in India, the saga continues.